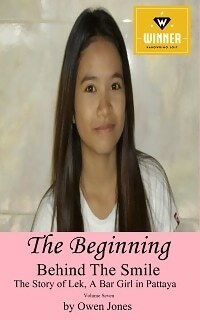 Lek - The Beginning Lek - The Beginning Behind The Smile volume 7 I just made progress on Lek - The Beginning! So far I'm 82% complete on the Week 3 phase. 2 Days remain until the deadline. Lek - The Beginning I just made progress on Lek - The Beginning! So far I'm 68% complete on the Week 1 phase. 1 Days remain until the deadline. Lek - The Beginning Lek - The Beginning I just made progress on Lek - The Beginning! So far I'm 63% complete on the Week 1 phase. 1 Days remain until the deadline. Alien House I just made progress on Alien House! So far I'm 99% complete on the Writing phase. 5 Days remain until the deadline. I just made progress on Alien House! So far I'm 88% complete on the Writing phase. 4 Days remain until the deadline. Alien House book cover 1 I just made progress on Alien House! So far I'm 63% complete on the Writing phase. 17 Days remain until the deadline.